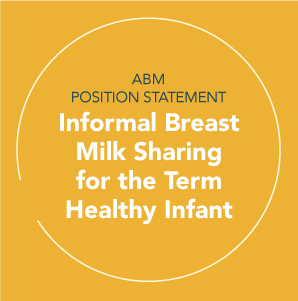 ABM has issued several Position Statements on core topics related to breastfeeding medicine. These statements serve the broader purpose of promoting, protecting, and supporting the importance of breastfeeding worldwide. Check back periodically, as these statements may be updated to reflect new findings and the views of our members.